Finnish-Russian digital solutions provider Zyfra will offer technology and expertise to Modern Coach Factory (MCF), Rae Bareilly to help execute a Rs.150 crore contract to build international standard coaches for metro trains, the company said. Earlier this year, MCF floated the tender to buy technology for the design, development, manufacturing, testing and maintenance of aluminium body passenger coaches for metro trains by 2021. The AI (Artificial Intelligence) and the IIoT (Industrial Internet of Things) solutions firm has increase more than $26 million from India-related deals and plans to double this to $45 million by the end of 2019, according to Zyfra release. Last year Zyfra achieved $3 million in contracts with its Indian counterparts, facilitating industrial manufacturers with AI and IIoT-based solutions as well as autonomous vehicles, it said. Zyfra plans to enhance its presence in the Indian market and reach the target of $50 million in deals by 2021. The statement said, Zyfra has launched 17 pilot projects in India with its major partners like Spudweb, Parivartan Automation, Abcon Group, Wimera Systems and OJB Engineering from the defence, aerospace, petrochemicals, metallurgy and mining fields. The ICT (Indian Information and Communications Technology) market is expected to touch $225 billion by 2020, representing a growth rate of 11% annually, according to Zyfra. 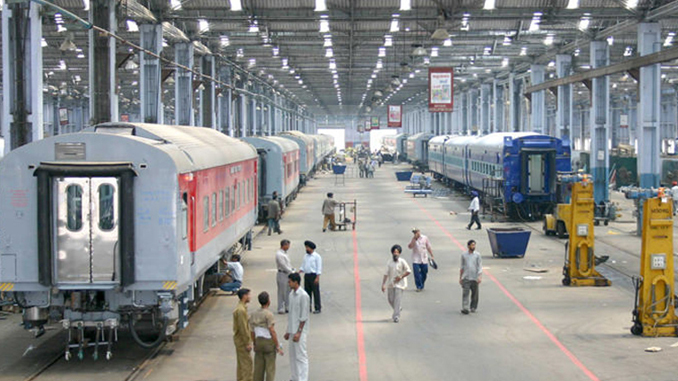 Rail Analysis insight: The AI (Artificial Intelligence) and the IIoT (Industrial Internet of Things) solutions firm has increase more than $26 million from India-related deals and plans to double this to $45 million by the end of 2019, according to Zyfra release.